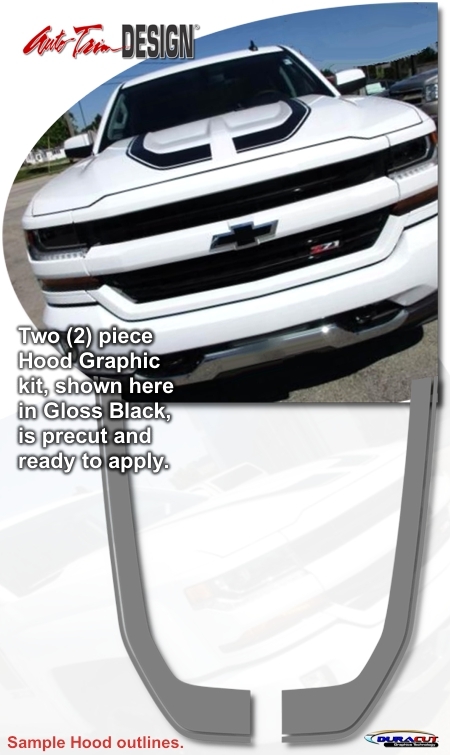 Make your '16-Current Chevrolet Silverado "Tough-looking" with this Rally style Hood Graphic kit. This easy-to-install kit is packaged as a set of two (2) pieces. They're PRECUT and ready to install in a wide variety of colors1 - NO TRIMMING required! 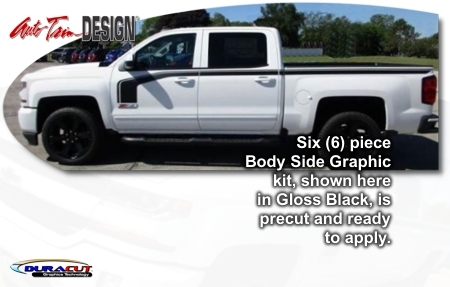 Graphic kit consists of prefitted and contoured pieces as shown in the illustration.